Finding the right Milwaukee movers to transport your items to your new home is an important task. You need trustworthy residential movers who have a proven track record and the skills and services needed to move your belongings from point A to point B. Read on to learn exactly what to look for in a Milwaukee moving company! You want to know that your residential movers walk the talk. And really, the only way for you to know for sure is to ask around and do some digging. Online reviews are a good place to start, and you should also feel free to ask your prospective local movers for references you can contact. Any quality mover in Milwaukee should have no problem providing you with a list of references. Why? Because they’ll have nothing to hide. 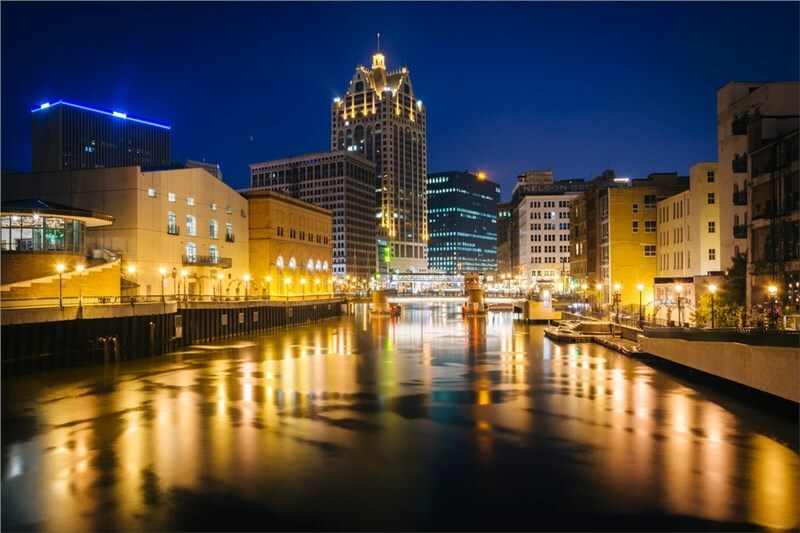 Here at Capital City Transfer, we have the accreditations to put your mind at ease—we’ve been serving the Milwaukee area for over 45 years and have earned an A+ rating with the Better Business Bureau! Most long distance moving companies offer pre-move estimates. But make sure your movers go through everything in detail. Quality estimates will involve a detailed inventory of your services and items—be ready to answer questions about exactly what is being moved, what is going to charity, and what is being stored. Your estimate should also cover extra charges for more difficult moves, such as those to or from two-storey buildings. With a detailed estimate, you won’t be surprised by any hidden costs. The highly trained moving staff at Capital City Transfer will give you a free, in-home estimate that covers all the bases. Whether you’re hiring a Milwaukee storage company or commercial movers, be sure that the contract you sign lists all the important information. Your contract should include an itemized list of all services and their costs along with pick-up and delivery dates. If your local movers try to get you to sign a blank contract…know that you’re in red-flag territory. Here at Capital City Transfer, we pride ourselves on keeping our customers in the know, so you’ll never be blindsided by hidden costs or last-minute changes. If you’re ready to experience quality relocation, call us today or fill in our quick and easy online form. We’ll schedule a free in-home estimate and answer any and all questions you have about our qualifications and services!